Edit: 12/29/2018: A lot of the apps in this list have recently been removed from the Google Play Store. If you are looking for other passive income ideas, I suggest reading my post on 21 passive income streams that actually work. As you know, I’m an advocate of using our smartphones to generate passive income. We carry our phones around everywhere we go, and often times, we even have extra smartphones collecting dust in some forgotten box or drawer. My phone farming guide was the first post I wrote on This Online World. It highlighted how you can easily earn $40-$50 of passive income a month (or more) with just a few smartphones. Since then, I’ve also covered other passive income website websites , fitness apps that pay, cash back and receipt scanning apps, and additional ways to make money online. Recently, I’ve started looking into some of the best lock screen apps for smartphones; especially lock screen apps that pay money. My phone farming setup is currently stable, but after doing more reading, I’ve discovered there are a number of additional money making apps that involve using your smartphone’s lock screen. After doing a lot of reading (and some testing), I’ve decided to compile what I’ve found into another passive income themed post. How do Lock Screen Apps Earn Users Money? Lock screen apps earn money and reward their users by transforming the lock screen of a smartphone into an advertisement rich environment. A user downloads a lock screen app and gives the app permission/control. The user must watch a short video advertisement to unlock their phone. Alternatively, the user must exit out of an advertisement or skip an advertisement. Once the user has passed their lock screen, the user earns in-app credits which can be redeemed for gift cards or cash. Their phone also functions normally following the passing of the lock screen. Some lock screen apps occasionally present surveys that users can answer to earn additional credits, but the premise is the same across all apps. Simply view some advertisements or promoted content before unlocking your phone, sit back, and enjoy some additional income! I’m going to cut to the chase and state that S`mores is the best lock screen app for earning passive income. Most lock screen apps pay very minor amounts per unlock. This means in order to actually earn, users will have to possibly unlock their phones dozens of times within a single day and watch advertisements. With S`mores, you are guaranteed to earn $0.10/day as long as you unlock your phone once. You cannot earn more than $0.10/day, but if you are using lock screen apps on your phone farming devices this is irrelevant as you won’t be unlocking those devices more than once a day. Additionally, if you use S`mores on your regular smartphone, you won’t be forced to unlock your phones dozens of times to earn your $0.10. S`mores will also present surveys once in a while, but the guaranteed earnings is what makes S`mores the best lock screen app for earning money. If you want to earn $36.50/year without doing anything, just install S`mores on one of your phone farming devices. If you don’t mind occasional ads, put it on your main phone. Device Limit: 1. S`mores requires a unique phone number. Verdict: Run S`mores on as many devices as possible (this will require several phone numbers). 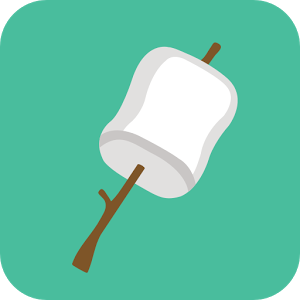 Sign up for S`mores on the Google Play Store. Edit: 12/29/2018: Fronto seems to have been taken down from the Google Play Store. The makers of Fronto have come out with another lock screen app called Mintscreen, so you can try that app as an alternative to Fronto but I have no knowledge of how the app performs. Fronto is one of the most popular lock screen apps that pay users, and it’s not overly intrusive. When you unlock your phone with Fronto, you can choose to swipe left or right to unlock your device. Swiping right will unlock your phone normally, while swiping to the left will cause an advertisement to appear. This is extremely handy in case you don’t want to be bothered by an advertisement or offer. 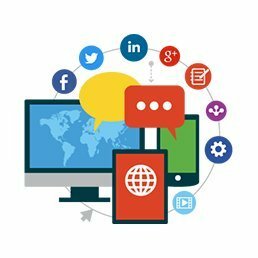 Following a company or individual on social media. I’ve used Fronto for a few weeks, and all I ever do is unlock my device. Unlocking your phone typically earns around 30 points, and 3,250 points = 1 dollar. So, a phone unlock will earn roughly $0.001. However, Fronto also offers daily check in bonuses of 100, 500, or 1,000 points. Ultimately, you won’t earn much from using Fronto, but having Fronto on one of your phone farming devices could earn some additional passive income throughout the year. Earning Potential: $0.05/day with many unlocks. Payout Options: PayPal, Amazon, others. Available Countries: United States, Canada. Verdict: Install Fronto on 1 phone farming device and take advantage of the daily bonus. Sign up for Fronto with my referral code THISO5 and earn a bonus 1,250 Fronto points when you join! Find Fronto on the Google Play Store here. EDIT: 01/15/2019: Slidejoy is no longer available on the Google Play Store. 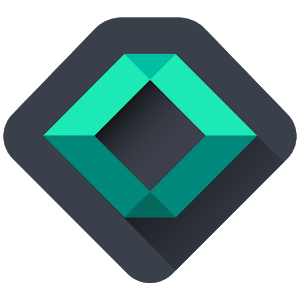 Sllidejoy is another immensely popular lock screen app for earning money, and it is certainly better than Fronto if you want to use it on just 1 phone farming phone or your personal device. 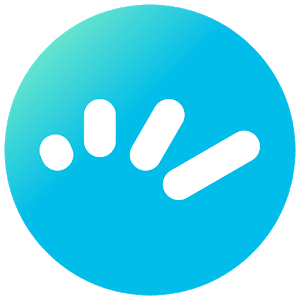 Slidejoy also lets you swipe left or right to check out of advertisements or learn more, and the direction of your swipe has no impact on your earnings. One main difference with Slidejoy is that points take roughly 24 hours to sync and will appear around 12pm EST for the previous day. How much do you earn with Slidejoy? Well, you earn $0.20 for signing up. Past that, it really depends on if you use your phone regularly and how the Slidejoy algorithm treats your device. Slidejoy makes an effort to present users with tailored advertisements. They even suggest connecting through Facebook so their algorithm can figure out who you are and display targeted advertising. Not only does this element creep me out quite substantially, but I also don’t think it’s worth it to earn a bit more money. In any case, your earnings will vary. Some users earn $1/month, while others earn $5-$10 every month if they use Slidejoy on their personal smartphone. Earning Potential: $0.05-$0.30/day on your personal smartphone. Minimum Payout: $2.00, and you must wait 2 weeks to cash out after you have earned money. Payout Options: Amazon, others. They just recently removed PayPal. Available Countries: United States, Canada, UK, Australia. Verdict: Install Slidejoy on your personal phone to test it out, but prioritize S`mores lock screen (if you live in the United States). Download Slidejoy through my referral link and help support This Online World. Edit 10/25/2018: It seems like the Adme app is no longer offered on the Google Play Store and the app is winding down it’s reward program. Adme is another contender in the lock screen app family. While it’s only available in the United States, Adme remains relatively popular and a frequent lock screen app recommendation. Adme’s lock screen offers 3 different modes: Content Feed, Fullscreen Ad, and Double Screen Feed + Ad. All modes essentially accomplish the same thing. You view ads (or ads and text feeds) before unlocking your phone and earn money for doing so. Double Screen Feed + Ad mode pays the most but requires the most interaction, whereas Fullscreen Ad and Content Feed have reduced earnings. Your Adme balance is updated every 24 hours, and on average, most users earn between $0.10-$0.20 a day. Earning Potential: $0.05-$0.20/day on your personal smartphone. Verdict: Install Adme on one of your phone farming phones. It’s one of the lower paying lock screen apps and has a high minimum payout. However, the sign up bonus is nice. Edit: 12/29/2018: Unfortunately Survey Cow has also been taken down from the Google Play Store at this time. SurveyCow is a different form of lock screen app as it presents users with a 1 question survey before they unlock their device. All you have to do is answer the question, and you earn Beef Points. Beef Points can be redeemed for PayPal, and it’s as simple as that. Surveys on SurveyCow are fairly simple questions, and you can get through the lock screen fairly quickly without much thought process. Depending how often you unlock your phone, SurveyCow can also be a pretty strong earner (even more than S`mores). SurveyCow’s largest downside is their high payout requirement, but the app has also stood the test of time and been pretty reliable for their users. 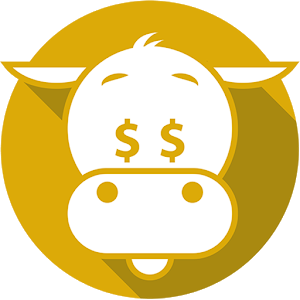 Verdict: SurveyCow also has an unfortunately high $10 minimum payout, but it might be worth putting on a phone farming device. Sign up for SurveyCow and receive a bonus of 250 Beef Points. Edit: 11/27/2018: Unfortunately Survey Cow has ended support for their app, so you will have to find another lockscreen app to earn money with! Edit: 12/29/2018: BillsBoard is unfortunately no longer available on the Google Play Store. 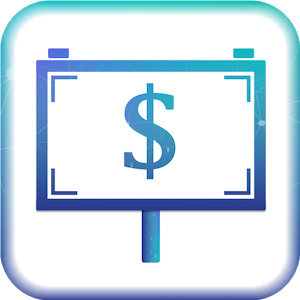 I’m updating this list of lockscreen apps that pay as of October 2018 to include BillsBoard, one of the newer lock screen apps on the market. BillsBoard is very similar to other lock screen apps in concept. Simply install the BillsBoard app on your Android device, create an account, and enable the app to take over your lock screen. Before unlocking your phone, BillsBoard will present news stories or advertisements that you can choose to view or skip over quickly. You don’t have to read stories or watch advertisements to earn money with BillsBoard. BillsBoard won’t make you rich, but like any other lock screen app, it can be a decent way to accumulate a few dollars every month if you’re looking for some relatively passive income options. BillsBoard allows users to cashout through PayPal cash, Amazon gift cards, Google Play Store credits. Users can also transfer their BillsBoard credits over to their Zap Surveys account if they have one (since Zap Surveys owns BillsBoard, I believe). As you can see, BillsBoard points are worth more money per point if you cash out at higher thresholds, and I would recommend aiming for the $5 or $15 levels to maximize how much money you make with this lock screen app. From what Reddit users have been saying, some people can average 100-200 points per day with BillsBoard if they live in the United States, so the app is probably a slightly worse earner than S`mores Lockscreen but not too terrible! Payout Options: PayPal, Amazon, Google Play Store credits. Device Limit: 1 per account. Available Countries: Seems like it is technically global, but the app works best in the United States. You might not be able to earn BillsBoard points in certain countries. Verdict: Run BillsBoard on 1 phone to see how much money you can make in your location. Check out BillsBoard on the Google Play Store! Whaff Locker is the last lock screen app that I will include on this list, and it is also a peculiar lock screen app due to some interesting rewards and payment scheduling (more on this in a bit). Basically, Whaff Locker will then enable users to earn points by downloading apps, using apps, keeping apps installed on their phone, or passing through the lock screen. 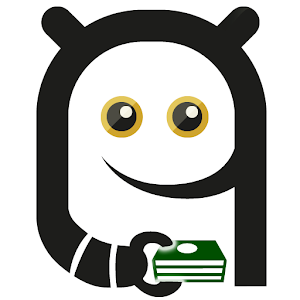 If you are looking to make passive income, Whaff Locker’s download to earn section isn’t useful. Additionally, their payment schedule is a bit wonky for the lock screen part. Initially, Whaff will pay around $0.01/swipe, but this amount will decrease overtime. The general consensus on Reddit is to use Whaff Locker until your first redemption, and then to ditch the app for a higher paying lock screen app. So, what rewards are available through Whaff Locker? PayPal cash (requires a minimum balance of $11). All rewards require $11 or more to cash out, which is absurdly high for a lock screen app. 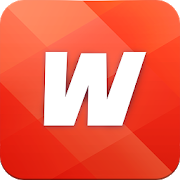 If you are truly desperate to make extra money or haven’t found a lock screen app that pays, perhaps consider giving Whaff Locker a try. Other than that, I actually suggest people stay away from this app and stick with higher paying lock screen apps like S`mores or BillsBoard. Payout Options: PayPal, Amazon, Google Play Store credits, other gift cards. Available Countries: Global, but as usual, performance will probably be best in the United States, Canada, or other countries with strong advertisement fill rates. Verdict: Probably stay away from this lock screen app! If you really insist…check out Whaff Locker on the Google Play Store. How much can you earn from lock screen apps? Truthfully, you can’t earn that much from installing lock screen apps on your personal smartphone. However, if you’re looking to score a $5 gift card every month or so, lock screen apps can at least give you that satisfaction. Additionally, if you are currently into phone farming, installing apps like S`mores can increase your overall earnings without adding much more work to your phone farming maintenance. It might not seem luck much, but for every phone you successfully install S`mores on, that’s $3.10 a month. Add a few devices with Slidejoy or Fronto (for the daily bonus) and it can become a noticeable difference. Can I use multiple lock screen apps on one phone: You can, although it will force you to go through multiple advertisements to unlock your phone. Do lock screen apps drain battery life? Slightly, but there aren’t significant differences in battery life or phone performance. My phone pauses for 1 second before unlocking after using a lock screen app, but that’s it. Am I eligible for these apps? Most of the lock screen apps I mentioned in this post are only available in Canada or the United States, but check the Google Play Store in your country. 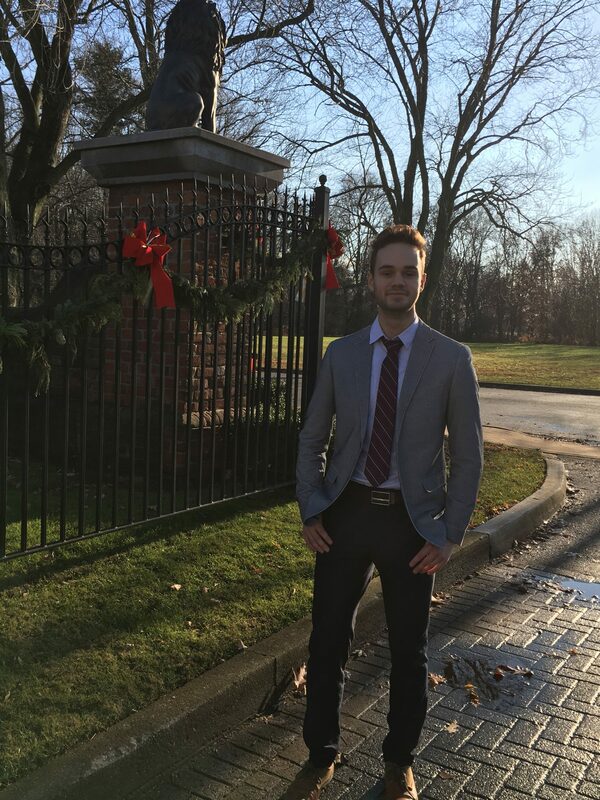 Can’t you just unlock your phone 1,000+ times a day and make a lot of money? Lock screen apps use algorithms to determine how much you earn, and they also cap your earnings. As far as I know there isn’t a way to break this system. Why can’t I earn money with lock screen apps on IOS? The Apple App Store does not allow the listing of apps that take over how a phone functions, and lock screen apps violate their terms. Are Lock Screen Apps a Scam? There are plenty of positive and negative reviews about various lock screen apps, but this is what it boils down to: lock screen apps won’t make anyone rich. These apps are a useful way to earn extra income every month, but don’t expect something that will break the bank. Additionally, you should know that payment schedules can vary between apps, and apps can also perform worse with time. This is the unfortunate nature of lock screen apps or other phone apps that pay. All of the apps I have mentioned in this list have been verified by dozens of users to have paid out, and I used most of these lock screen apps on my phone farming phones. Just keep up to date with industry news via Reddit or forums and make sure you set some realistic expectations! Ultimately, after testing various lock screen apps I’ve decided not to use any on my personal smartphone. Earning an extra $0.10-$0.20 a day simply isn’t worth the annoyance of dealing with advertisements. However, I have installed Fronto and Slidejoy on 2 phone farming devices, and I will monitor how much they can make after 1 month. I suggest other phone farmers do the same and add these lock screen apps to some idle smartphones. Unfortunately S`mores is not available for download in Canada. However, if you live in the United States I highly recommend giving S`mores a try! 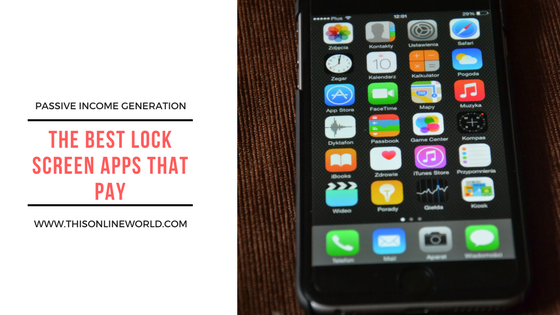 Making money with lock screen apps might seem like a waste of time, but if you have spare phones for your phone farm or are looking to generate passive income, they aren’t a bad idea! The best gig economy platforms to make extra money. How to make money by writing on Medium. That’s all for now! Thanks for reading! Be sure to subscribe to This Online World with your email if you want to receive updates the moment posts are released. can we use Pc Computer/ Notebook to apply LOCK SCREEN APPLICATION ? U need to update that the survey cow app is no longer available. That was the app I used for almost 3 years. There was no warning that it was closing up, ugh. S’mores’ lack of an option screen seems suspect. All lockscreen apps use a lot of permissions but S’mores goes well and above the usual. I’d definitely keep it on an older device with no contacts, as some reviews mention it texting ads to others without permission. Probably has the best earn rate, though, with Slidejoy giving less and less. Bills Board is absolute garbage. Uses a ton of data, memory and after 2 months I have a penny a day. It’s also not on play store anymore. Probably some kinda mining malware.